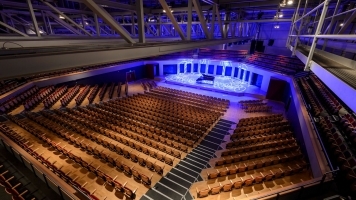 Having already sold out a performance at the Warwick Arts Centre in April, Romesh Ranganathan will be back in the Autumn with a repeat date of his hit show Irrational. Take advantage of this second chance to see his sensational comedy, exploring the rationality of his worldview. Irrational will see Romesh examine the issues close to his heart, and explains why everybody else is wrong about them. The last two years have been incredible for Ranganathan with his two critically acclaimed Edinburgh Festival shows, Rom Wasn’t Built In A Day and Rom Com_ being nominated for the coveted Edinburgh Festival Awards for Best Show 2014 and Best Newcomer 2013. This new show promises to be as much of a hit! 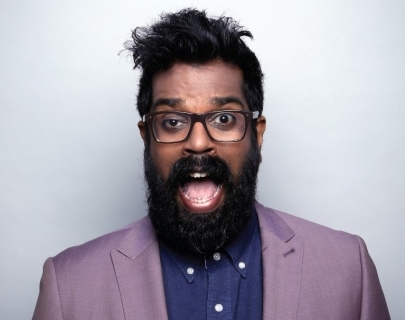 Romesh has come a long way since quitting his career as a maths teacher making a real name for himself appearing on Live At The Apollo, Jack Dee’s HelpDesk, Have I Got News For You, Mock The Week and many more. Autumn 2015 saw the launch of Romesh’s very own six-part series for BBC Three Asian Provocateur where he travels to Sri Lanka in search of his roots on the trip his Mum has always hoped he would make. Ages 14 +. May include strong language and adult content.